During the early part of 2017, the stock market was rolling merrily along, with the Dow Jones Industrial Average (DJIA) breaking through the 20,000-point barrier for the first time. But the "Trump bump" won't last forever and some prognosticators are forecasting eventual doom and gloom. In all likelihood, the stock market will continue to experience ups and downs, just like it has throughout its history. 1. 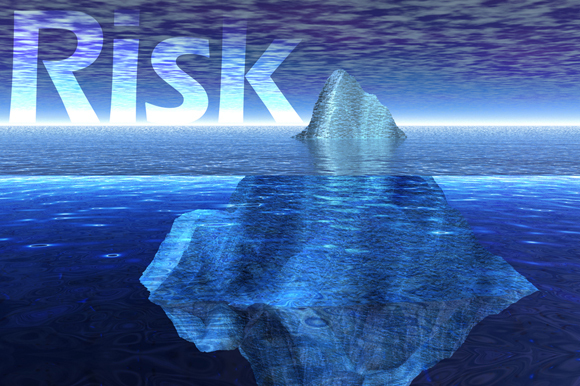 Risk of loss of principal: This is the risk of losing the money you initially invested. Say you buy a stock for $1,000 that jumps to $1,200 before it falls back to $900. If you sell the stock at that point, you will have lost $100 of principal. 2. Risk of loss of purchasing power: You may be willing to limp along with modest returns, but you're losing money if the inflation rate exceeds your rate of return. For instance, if you acquire a bank CD paying a 2% annual rate and inflation rises to 3.5%, you're losing 1.5% in the purchasing power of that investment. 3. Risk of outliving your savings: Is your investment plan overly conservative? Remember that the stock market historically has outperformed most comparable investments over long periods, although there are no absolute guarantees. Therefore, you're likely to fare better with a well-devised investment plan than you would if you stuffed your money under a mattress. Otherwise, you might outlive your savings, especially given recent increases in life expectancies. Risk assessment surveys can provide some insights. Typically, an analysis will reveal that you tend to be either a conservative, moderate, or aggressive investor, within certain ranges. Your portfolio should reflect this characterization. If you indicate a more conservative bent, you may want to fine-tune your investments accordingly, taking into account asset allocation and diversification methods. Again, these strategies do not offer any guarantees, nor do they protect against losses in declining markets, but they remain fundamentally sound. Other potential ideas are to weight your portfolio more heavily to bonds than you did in your younger days. The technique of "bond laddering," with bonds maturing at different dates, is a variation on this theme. Similarly, conservative investors may emphasize dividend-paying stocks and blue chips, as well as mutual funds and exchange traded funds (ETFs) offering diversification. Every situation is different. Reach out to us to address your specific concerns.